Just off mainland Toronto, there’s a group of islands that is owned by the city and is mainly park land but has about 250 residents. They had a bit of history with the city trying to remain on the islands, but finally managed to snag 99-year leases. 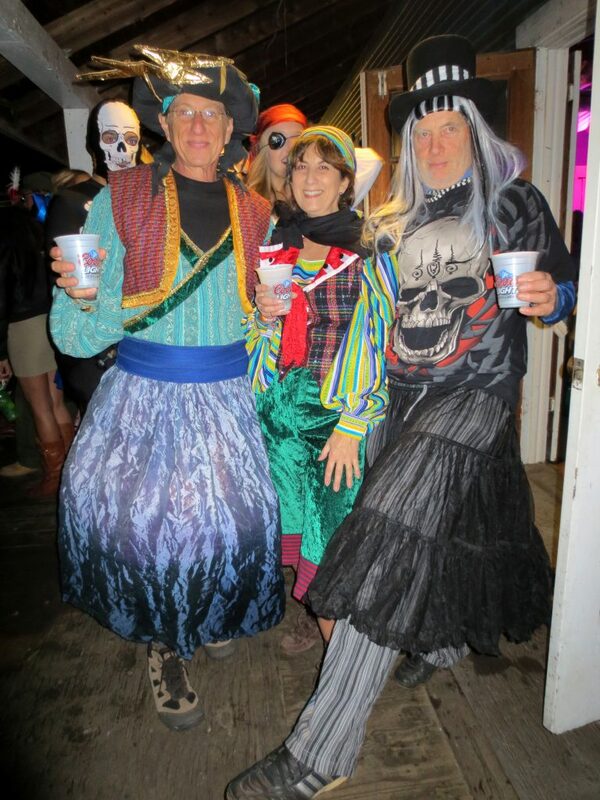 The weekend before Halloween, we joined our friend, Rick, a resident of Ward’s Island for a community costume party. Even though we gave away (almost) all our costumes at our Reverse Costume Party in February, we still managed to look fabulous. Rick helped. Sometimes, the scenery is just ironic. 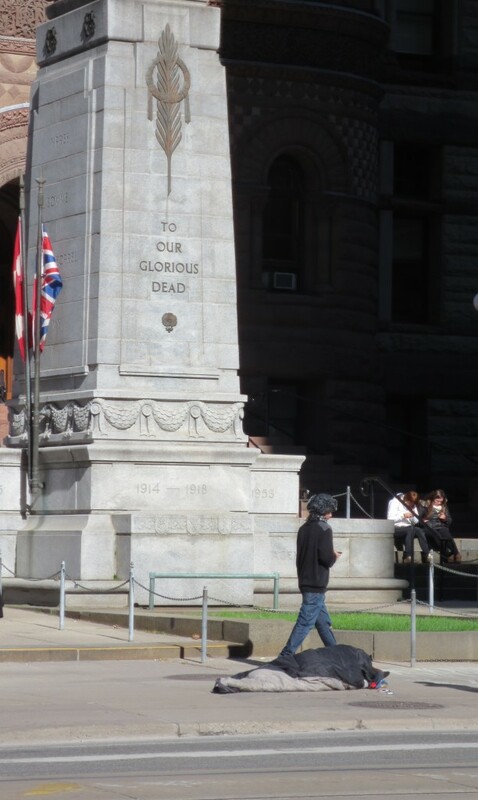 Monument in front of Toronto’s old City Hall. 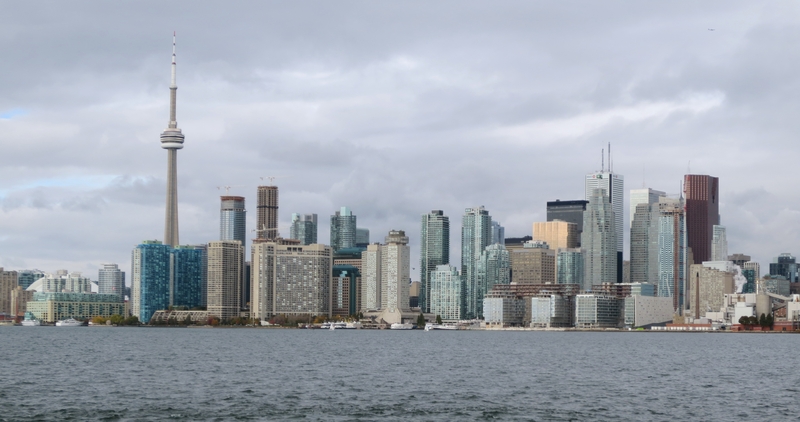 Toronto winter skyline as seen from the ferry to Ward’s Island.